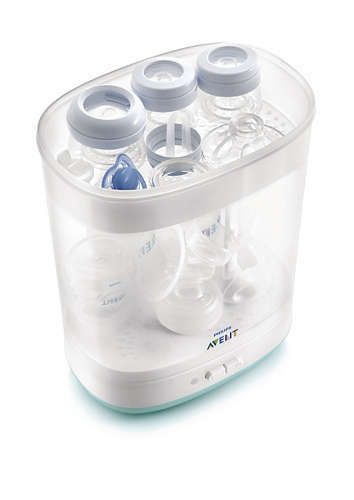 AVENT 2-1 Steam Steriliser. 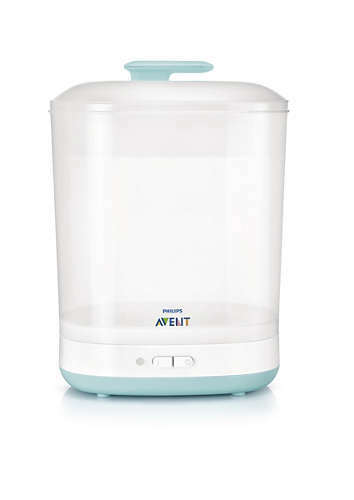 The Philips AVENT 2-in-1 electric steam steriliser can effectively sterilise with natural steam, fitting both standard neck and wide neck bottles and providing a safe and convenient usage experience. 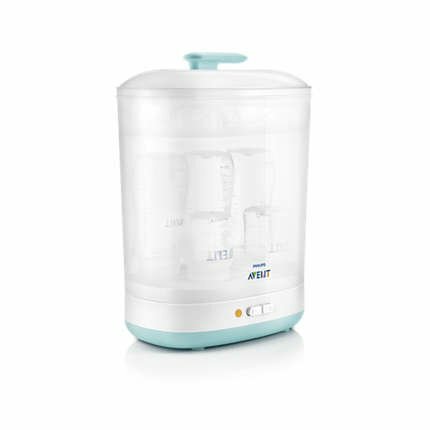 The Philips AVENT 2-in-1 electric steam steriliser can effectively sterilise with natural steam, fitting both standard neck and wide neck bottles and providing a safe and convenient usage experience. 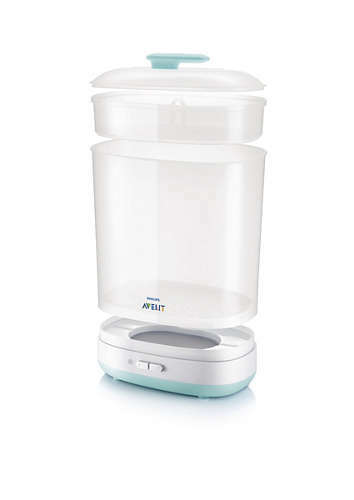 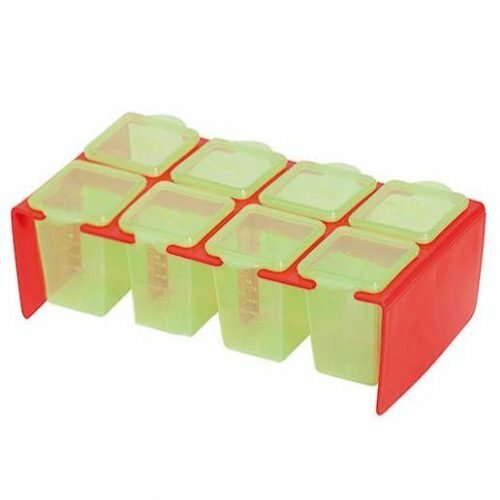 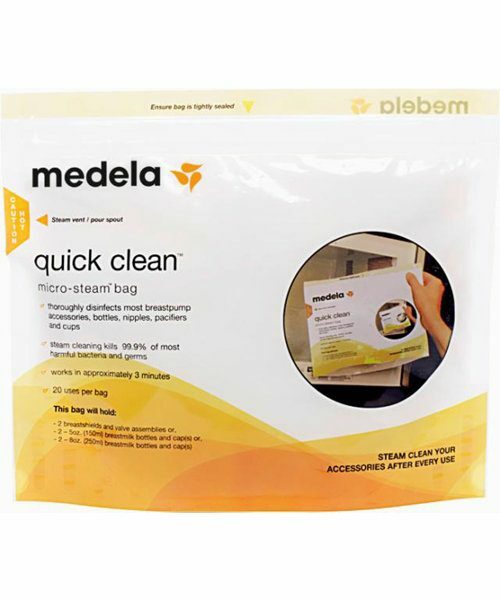 The steriliser is made from BPA-free chemicals.